Philips Electronics announced today that it is exiting the consumer electronics industry, capping over 80 years in the space. The Dutch firm was among the last large European consumer electronics manufacturers, after Siemens and Alcatel-Lucent made similar exits, and will now focus on its medical imaging and lighting businesses. Philips found itself unable to compete effectively against Samsung, Sony, Apple, and the like, and will sell the remaining parts of its consumer electronics business to Japan’s Funai Electric Co. for an almost nominal price of $201.8 million. Philips had been trying to cut its losses in consumer electronics for a few years, shuttering its mobile phone division and handing over its North American television business to Funai in 2008. Funai will continue to sell audio, video, multimedia, and accessories under the Philips brand name going forward. The Dutch firm was the world’s largest radio supplier before World War II, and its subsequent inventions included the audio cassette (1963), video cassette recorder (1972), and compact disc (1983). For many years, however, Philips has had trouble translating its R&D prowess into consumer sales successes. In the ’70s and 80s, the company lost the famous video cassette wars, as its VCR and Video 2000 standards fell to the Japanese standards of Betamax and VHS, which in turn fought to the death until VHS prevailed. “Our consumer lifestyle business was margin dilutive to the group,” said Frans van Houten, Philips’ CEO, “so it was time to decide to move away from consumer electronics. Since we have online entertainment, people do not buy Blu-ray and DVD players anymore,” Mr. Van Houten said. 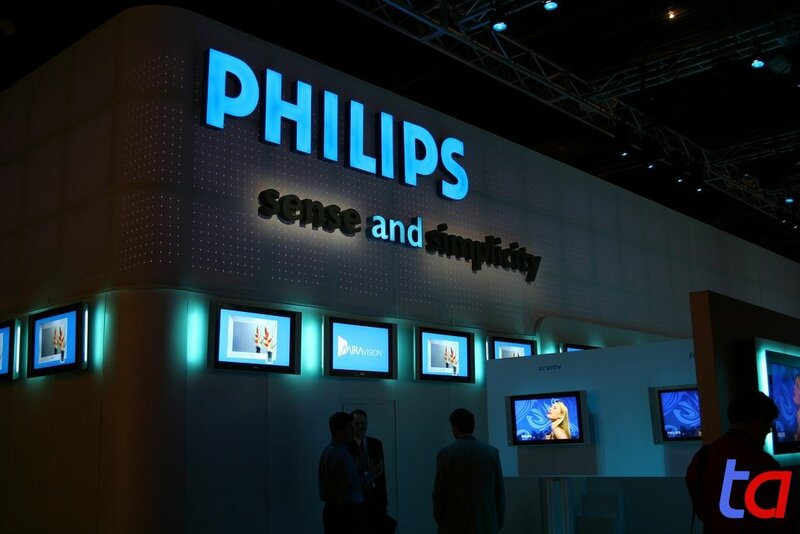 Philips will now focus on products like hospital MRI scanners and LED light bulbs. It will continue to make some consumer products, though, like coffeemakers and electric shavers. Consumer electronics currently contributes a quarter of Philips’ revenues, with healthcare and lighting split at roughly 40:30. Van Houten said that Philips is becoming more efficient, and is now introducing new products to market 40% more quickly than before. Evidently not fast enough for consumer electronics, though.